Apache Spark has become a critical tool for all types of businesses across all industries. It is enabling organizations to leverage the power of analytics to drive innovation and create new business models. The availability of public cloud services, particularly Amazon Web Services, has been an important factor in fueling the growth of Spark. 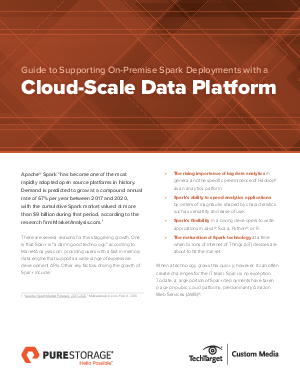 However, IT organizations and Spark users are beginning to run up against limitations in relying on the public cloud—namely control, cost and performance.